YTL Hotels’ The Gainsborough Bath Spa is delighted and proud to have won Hotel of the Year (England) at the 2017 AA Hospitality Awards. Hotel of the Year is the top accolade for hospitality services across the country. The hotel’s superb restaurant, Dan Moon at the Gainsborough Restaurant, was also commended with three AA rosettes, confirming the restaurant’s place amongst the finest in England. The event, hosted at the Grosvenor House, Park Lane, recognises and celebrates excellence within the British travel industry, and was attended by world-renowned chefs, prominent hoteliers and restaurateurs, hospitality gurus, and media. The award attests to the exceptionally high standards of The Gainsborough, namely its combination of incredible service, facilities and all-encompassing guest experience. From the impressive 1,300 square metre Spa Village, which is the only hotel spa to have direct access to Bath’s historic thermal waters, to the stunning Spa Suites and interiors designed by award-winning Champalimaud Design from New York, The Gainsborough epitomises true British five-star hospitality. This year, as a result of Head Chef Dan Moon’s ever-growing profile, the hotel renamed its signature restaurant as Dan Moon At The Gainsborough Restaurant. The AA has recognised the restaurant’s outstanding reputation and success by awarding three rosettes, an honour that distinguishes the consistent excellence of Dan Moon’s cuisine, along with the restaurant’s dedicated, intuitive service and superb wine list. Dan’s ever-developing menus combine pioneering cooking techniques and theatrical presentation to provide an all-consuming dining experience. A highly creative chef, Dan considers every plate to be a canvas upon which he paints a picture for the diner. Every micro-blossom and dash of sauce has a ‘flavour purpose’ in addition to its visual effect; every element of every dish is carefully developed and tested to ensure a cohesive whole. A leading hospitality brand in the UK, the AA Hospitality Awards have been recommending quality hotels since their inception in 1905. The Hotel of the Year Award was first awarded in 1992 and continues to commend outstanding examples of hospitality across all fields. To add to this acclaimed commendation, the hotel has also received outstanding praise in the Conde Nast Traveller Readers’ Travel Awards 2017, announced earlier this month. 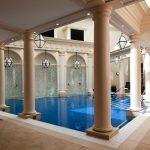 The Gainsborough Bath Spa was placed tenth in the UK’s Best Holiday Hotels and third in the Top UK Spa Hotels, while it triumphed with inclusion in the world’s top 100 hotels, coming in 66th place. Voted for by Conde Nast Traveller UK readers themselves, these awards confirm the continuous excellence of the guest experience at The Gainsborough as experienced by travellers first-hand. 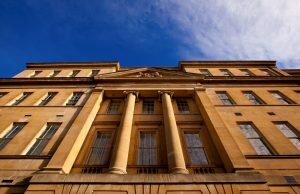 The only member of The Leading Hotels of the World in Bath, this holistic landmark was YTL Hotels’ first UK property and remains one of their most significant openings to date. This momentous award follows The Gainsborough’s previous victory earlier in 2017 when they received the TripAdvisor Travellers’ Choice Award, as well as the highly coveted Tatler Spa Guide Bathing Beauty Award in 2016. Nightly rates at The Gainsborough Bath Spa start from £285 (AUD$487) on a room-only basis.